When I was drinking, Friday was the day that I really let loose; which is a bit comical now that I think about it, because I drank every day anyway, so I am somewhat baffled why Fridays were so hard. Nevertheless, it seemed like there was a buzz, and excitement in the air that I just could not bear! Everyone was hitting happy hour and making plans to go party! However, I was sober, and not quite happy about it yet; actually I was still rather angry and resentful, about it and that I had to give up all the fun! Although, I am not sure what fun I was chasing after at the end either, because my drinking was anything but fun. If you are new to sobriety, you may find Friday nights particularly difficult too, especially if all your friends are going out while you are trying to stay sober. Fridays always seemed like the one-day a week that my craving just kicked in full force! I needed to keep myself occupied, and stay focused on what was important, and what I was working so hard to achieve. And, I know that it is hard so see some of the gifts of sobriety when we are just at the beginning of our journeys. It is also hard to remember and stay grateful for all the amazing gifts, the longer that we are sober. So I often need a BIG reminder as to why I chose to get sober, and why I continue trudging down this great road of recovery. You will never have any hangovers again. You will never have an alcohol-induced blackouts. You will no longer be stressing out about being caught. You will no longer have to wonder how you got home. You will no longer put yourself in dangerous situations. You will no longer need to isolate so you can drink. You will not have anxiety about not having enough alcohol to drink. You will not have guilt or shame about your drinking behavior. You will have no more need for laying, stealing, or cheating. You will not have to stress about when you can drink. You will have no need to keep your drinking a secret. You will be able to finish tasks that you started. You will be able to get in a car and drive whenever. You will be able to hold a job and be a good employee. You will have real friends, not just acquaintance. You will have good self-esteem and be happy with yourself. You will be a participating member of your family. You will be able to create positive changes in your life. You will be able to pass a breathalyzer test if needed. You will be able to pay your bills. You will be able to smile again. You will be able to take care of your pets properly. You will be experiencing less physical pain. You will be free to socialize with people. You will be OK with your feelings and accept them as a sign of growth. 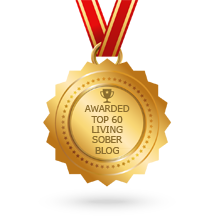 You will be proud about being sober. You will be willing to try new things. You will became accountable and reliable. You will become a person of integrity. You will become a truly fun person. You will experience real laughter and happiness. You will feel better about the world around you. You will feel more secure about your financial situation. You will finally feel like you fit in the world. You will get out of your selfish ways and want to help others. You will have better diet and nutrition. You will have better attitude about life. You will have better concentration at work. You will have better overall disposition and perception. You will have better physical health. You will have better quality of sleep. You will have clearer eyes and skin. You will have closer personal relationships. You will have freedom from constant worry. You will have freedom to do anything you want at any time. You will have freedom to leave abusive relationships. You will have improved mental clarity. You will have increased awareness and spirituality. You will have money to spend on cool stuff instead of drinking it away. You will have more energy to do fun things with your family or friends. You will have more patience and acceptance. You will know intuitively how to react to certain situations. You will notice that your real personality is coming through. You will notice the amazing changes in yourself. Do you have any to add? Please share in the comments! 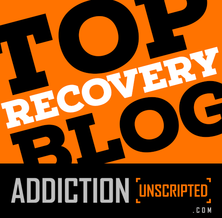 Are You Thinking About Getting Sober? You will never ruin a perfectly good hand bag because you need to vomit in the back of a taxi. Hope you have a great day! Hugs. Aside from being a little better with diet all of those items on that list came true for me too! Still have a bit of the sweet tooth but I can tell that I will be able to get that under control too! I love sobriety! This sums it up very well. Thank you for sharing.